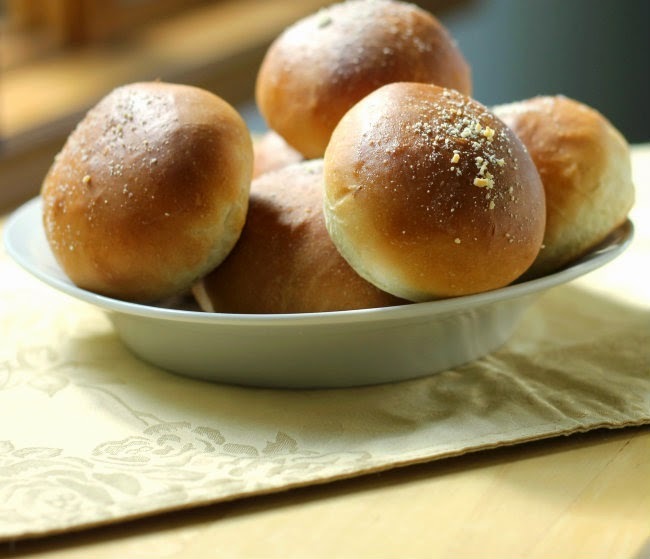 Homemade Cheese Stuffed Garlic Buns… yum! This past weekend we celebrated our son Jon’s birthday. If you haven’t read about it on this blog before, I love making birthday dinners for our kids. The birthday person gets to choose what they want on their dinner menu. My boys usually pick the same thing year after year. Jon likes his lasagna and that is usually on the menu for his birthday. When lasagna is on the table there better be some kind of garlic bread to go with it, at least at our house. Normally I would pick up a loaf of French bread and make a simple garlic toast the easy way. But this time around I was in the mood for making bread. Not just any kind of bread… garlic needed to be involved and yeah some cheese too. So what I decided to do was make real garlic bread, but only in a bun form. So what I did was mince up some garlic and add it right into the dough as I was mixing it. That way the garlic would give the bread a nice garlic flavor. The buns were easy to make and they turned out nice and soft. For some reason I like serving buns or rolls more than sliced bread. 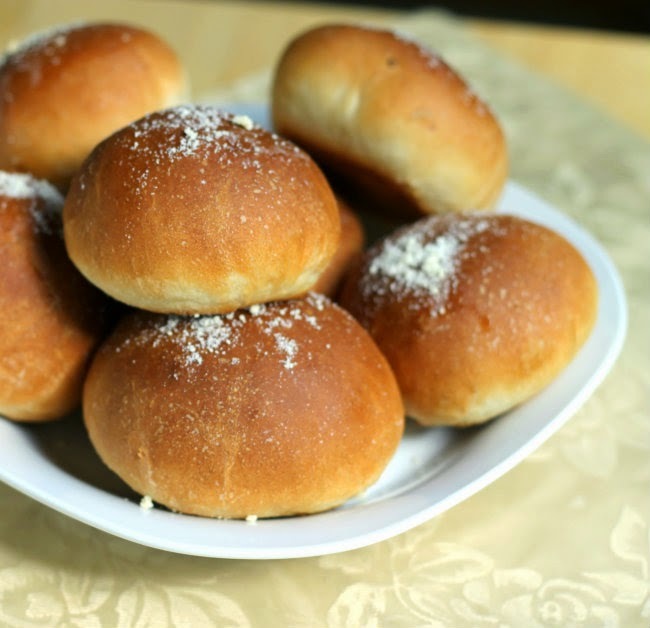 Maybe the buns just look nicer when being served than slices of bread on a plate or maybe I am just a little weird. For the cheese stuffed part… I formed my buns around a cube of mozzarella so when the buns were served the cheese would be nice and gooey. Sorry I didn’t get a picture of the cheese in the bread so you will just have to take my word on it. The lasagna and garlic buns made the birthday boy smile and a few other family members too. 1. In a large bowl dissolve the yeast and sugar with the warm water. Let this sit for 5 minutes. 2. Add the olive oil, minced garlic, salt and 1 cup of flour. Stir until well blended. 3. Gradually add the rest of the flour. Knead the dough as you add the flour. If your bowl is large enough there is no need to knead the dough on the counter. 4. When the dough is nice and soft and just a touch of stickiness to it, grease the bottom of your bowl. Turn the dough over once to coat both sides of the dough. 5. Cover the bowl with a towel and let the dough rise for about an 1 1/2 hours or until about double in size. 6. Prepare baking sheets by lightly greasing them. 7. Once the dough has doubled, pinch of a piece of dough just a bit bigger than a golf ball and flatten into out into a disk shape. 8. Place a mozzarella cube in the middle of the disk and pull the dough around the cheese to form the bun. Pinch the bottom of the dough to seal the cheese in. Place the sealed side of the bun on the prepared baking sheet. 9. 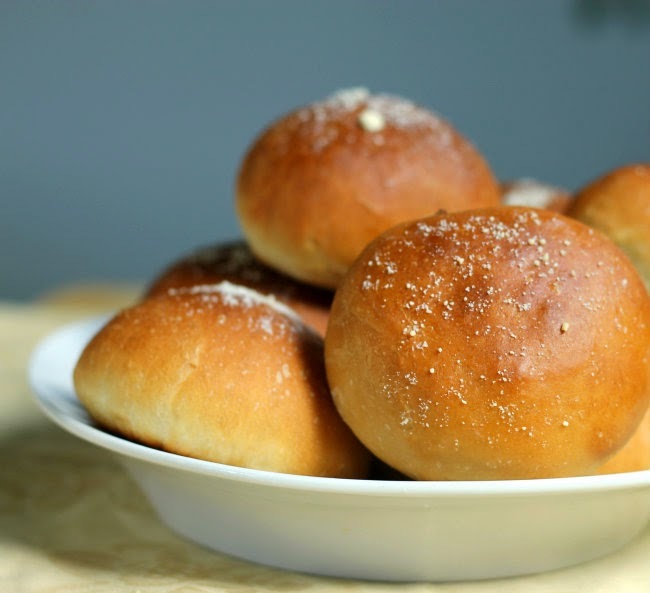 Cover the rolls with a towel and let rise for about an hour, so they just about double in size. 10. Preheat oven to 375 degrees F.
11. 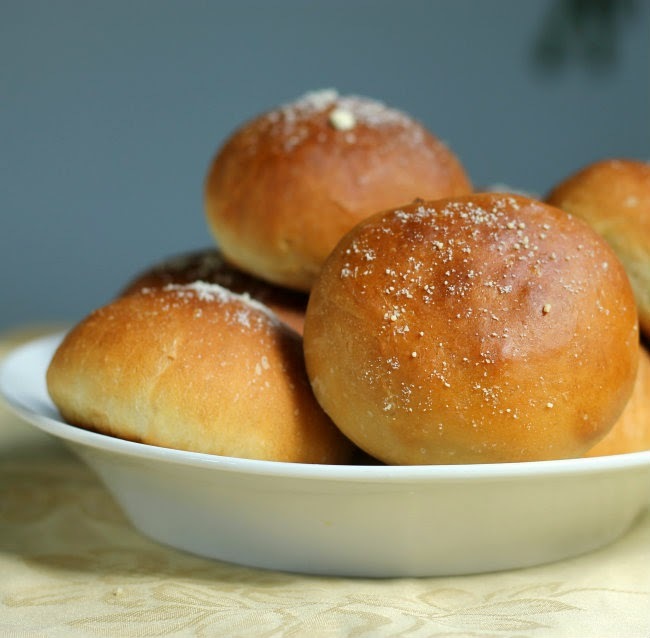 Once your buns have raised bake in preheated oven for 12 to 15 minutes or unit golden brown. 12. Remove from oven and brush with melted butter and sprinkle with grated Parmesan cheese is desired. Cheese stuffed AND garlicky?! What could be better! You’re killing me with all of these beautiful pictures of delicious foods that use yeast.